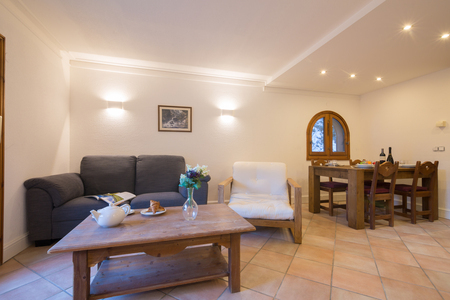 A beautiful central holiday Duplex with access to the Ski lifts! 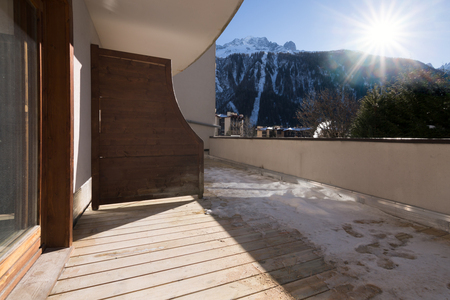 Situated in a central location with views of the Mont Blanc, this 2-bed apartment retreat is easily accessible by lift and is welcoming for a couple or family group of 4. 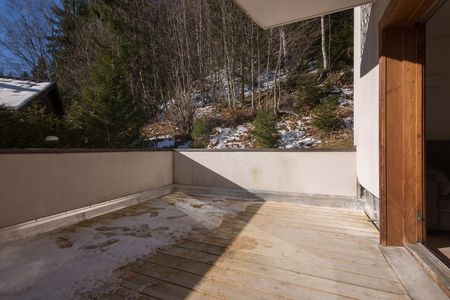 Fully-equipped with free WiFi and a sauna, the balcony apartment offers an idyllic mountain view setting from which to relax and entertain. 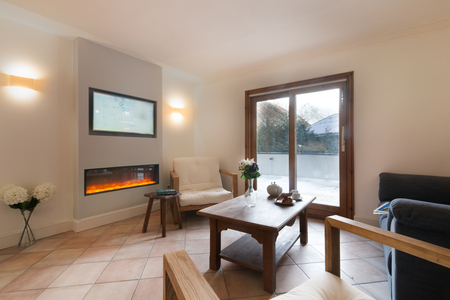 The spacious Living room is furnished with a modern sofa suite with coffee table, wall mounted flat screen TV, an electric fire and balcony doors leading out to a sunny spacious balcony terrace. An adjoining sleek modern Kitchen Diner equipped with an induction hob, oven, microwave, coffee machine, toaster and fridge freezer are complemented by a chunky wood dining set. 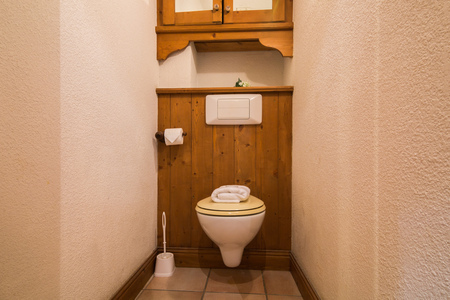 The retreat benefits from a Double bedroom and a 2nd bedroom furnished with a set of bunk beds. 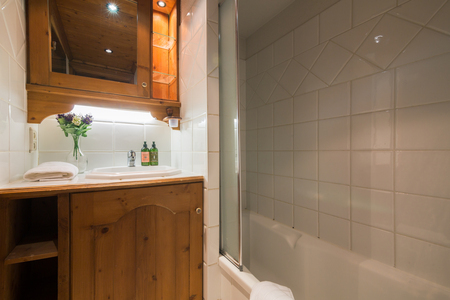 A modern fitted shower room completes the layout of this gorgeous retreat. 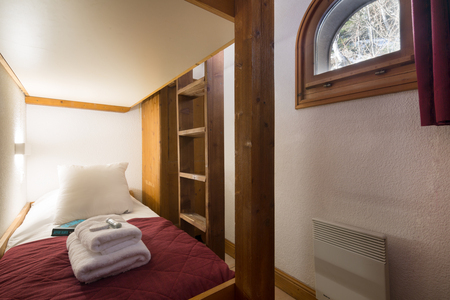 The 5-storey Savoyard-style chalet residence benefits from an on-site garage. 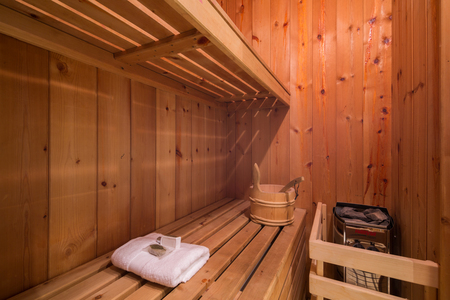 Guests are within proximity of the resort amenities, the shuttle bus and the ski lifts. Key Features: • Lovely Ski retreat for 4 • Free WiFi access • Underfloor heating • Lift access • Private sauna • Garage • Close to the Ski shuttle bus Sleeping- Bedroom 1: A restful Master bedroom with a Double bed & wardrobe Bedroom 2: A lovely room furnished with Bunk beds & a wardrobe Bathrooms- Bathroom 1: A suite fitted with a Bath tub, overhead shower & wash basin Service: Modern WC Additional- • Hairdryer • Washing machine • Central heating • 2 Sun loungers Location- Located along ‘Rue Charlet Straton,’ the residence is easily accessible, being situated opposite the train station and a bus stop. 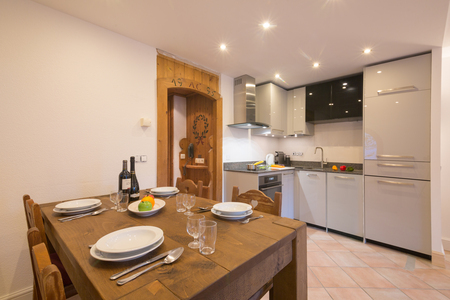 Central Argentière offers a lovely range of French-style eateries, affordable cafes, grocery shops and resort amenities. 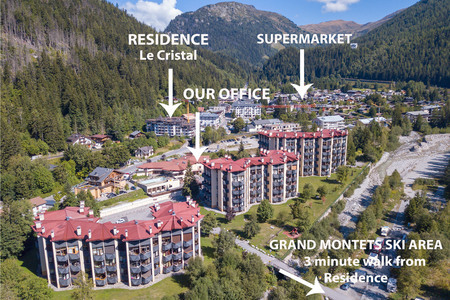 The Les Grands Montets ski lift is only an 8 minutes’ walk away. Placed only 15 minutes’ drive away from Chamonix, Argentière is one of the best-loved Alpine resorts, being situated at the foot of Les Grands Montets (a vast, varied area offering a wide range of pistes and extensive powder fields for off-piste enthusiasts). Ideal for both winter sports and summertime stays, the breath-taking scenery and fantastic range of outdoor leisure pursuits make this an inviting year-round destination. Top local activities include mountain walking, skiing, snowboarding sky diving, luxury spa treatments, horse riding, rock climbing, golf and extreme outdoor sports. The tree-top climbing Accro Adventure Park and rock climbing crag in Lac des Gaillands are both 19 minutes’ drive away. 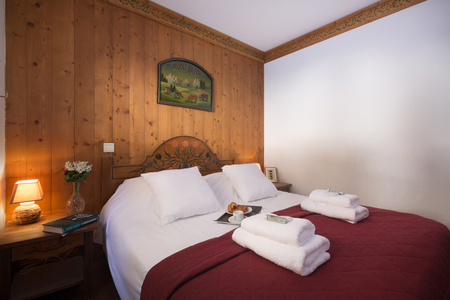 From the charming holiday location, Geneva Airport is only 79 minutes’ drive away. December 2017 We thoroughly enjoyed our weeks stay here. 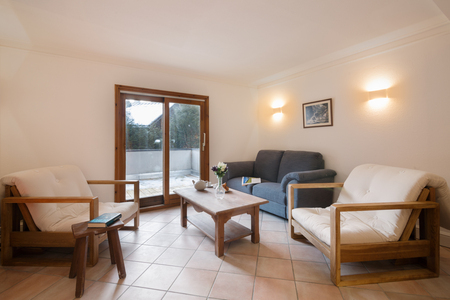 The main living area is open plan, very stylish, modern, clean, warm and has great facilities, including free wifi. The brand new kitchen, offers all the mod cons, including a dish washer and washing machine. 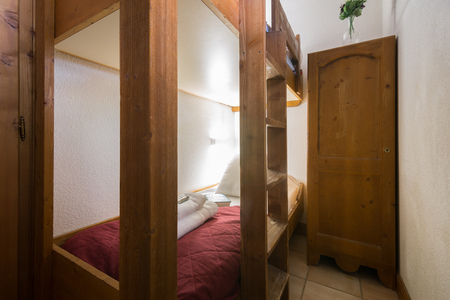 Master bedroom has a large double bed and there are bunk beds in the 2nd bedroom, perfect for our two children. 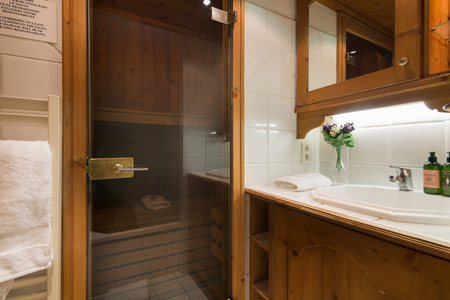 The toilet is separate from the bathroom and the bathroom has a sauna, great place to relax after a hard day's skiing. The main Cristal block also offers additional facilities, Swimming pool, pool table etc which the children thoroughly enjoyed. The location of the apartment couldn't be better with bus stops right outside the main block. The buses run very regularly and makes access to a variety of resorts very easy. The train station is also very nearby too. 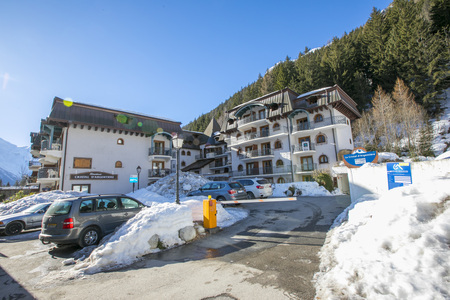 The ski lifts to the Grands Montets (ideal for advanced and intermediate skiers) are a 5-10 minute walk away, whilst a short bus journey up the valley takes you to Le Tour, great for intermediate and beginner skiers. The beautiful town of Chamonix and the ski resort of Flegere (with a link to Brevent) is also only a 15 minute bus journey down the valley. Les Houches a little further, but the journey didn't put us off,as we skied there for 2 days of our holiday and loved it. Argentiere is a lovely village, with some great places to eat and hire ski equipment. There is also a well-stocked supermarket less than a 10 minute walk from the apartment. A lovely apartment, in a great location. Lara, UK " Lara Hardy "